*TRANSCENDING EYE CARE* is proud to provide the new *Clarifye*! This multi-faceted advanced technology provides the most accurate, patient-friendly eye exam in Orlando, FL. 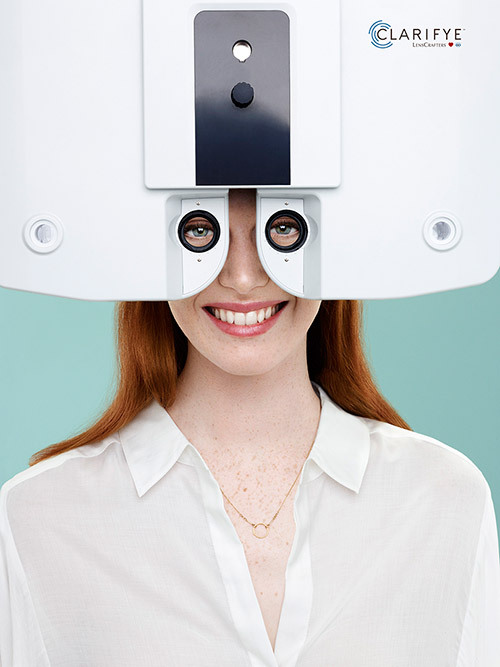 - Eye doctors use *advanced digital eye exam technology* to map your eye and the determine your vision prescription for glasses or contacts with incredible accuracy. With the information from Clarifye, *we can correct for common night vision issues* like glare, starbursts and halos around on-coming headlights, making night driving safer and less stressful for your eyes.